Some times I just like to kick back on Friday evening and have a little 'FAC' just for ourselves or with a few friends. Last weekend was one of those times so I started looking around the kitchen to see what we had as leftovers. I found an orange Roughy fillet, some Spanish rice, a few large shrimp, and a partial bag of coleslaw mix. 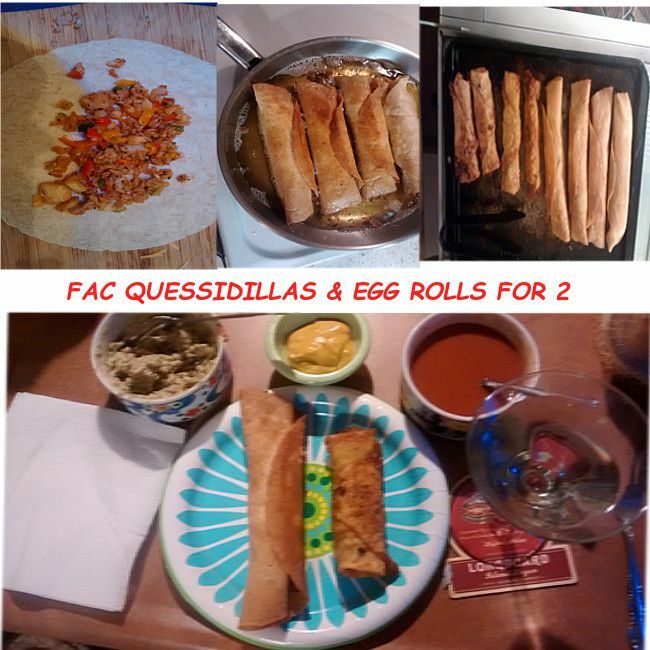 I decided to create some fish Quesadillas and some shrimp egg rolls to enjoy with a few adult beverages and the company of our close friends. 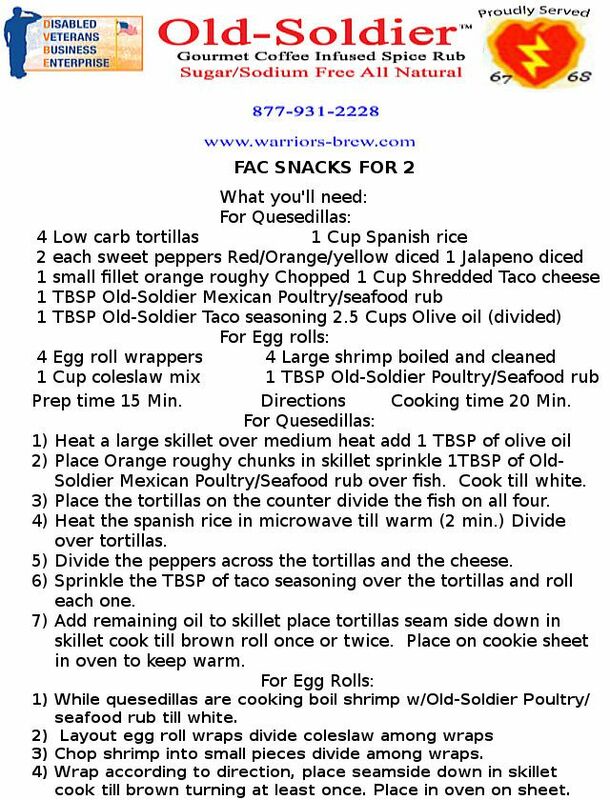 If your having more than two friends over I suggest doubling the recipe so you don't run short or consume to many adult beverages without any food! Quick and easy recipe to enjoy on a Weekend night!